This man proved that there ain't no mountain high enough. Conquering Mount Everest is no small feat, so imagine doing that using only your hands. 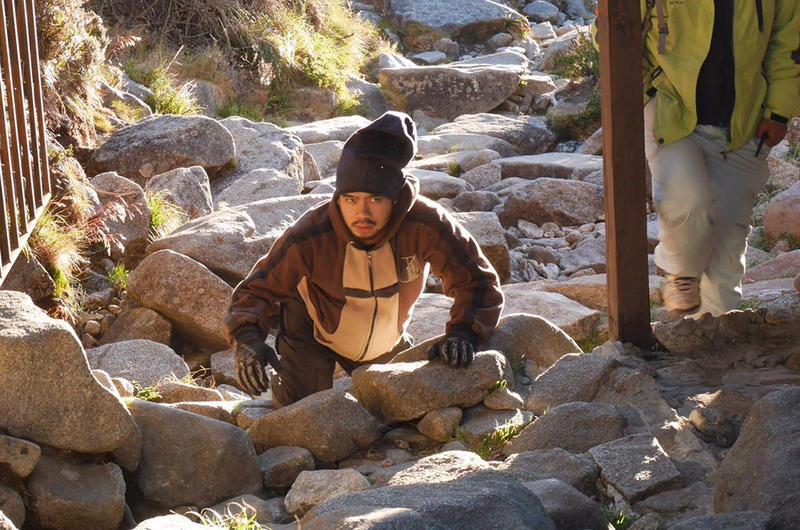 A disabled Malaysian made the country proud when he became the first person in the world to conquer the base camp of the planet's highest mountain using only his hands. According to Bernama, double leg amputee Azrulkhan Hasrullah, or more fondly known as Adam to his friends, reached the Mount Everest base camp (which is located at 5,350 meters above sea level) at 2.45pm Malaysian time last Tuesday. He reportedly started his ascend on 1 May from Kathmandu, Nepal. Berita Harian reported that Adam, who was born with polio, covered a distance of around four to six kilometers in eight to ten hours a day. Besides climbing on a very rocky path, Adam also reportedly had to deal with freezing temperatures of between -5 to -7 degree Celcius and the lack of oxygen. Adam's mission was the first of its kind in the world, as prior to this, no disabled person has ever made it to the base camp using only their hands. The 26-year-old told reporters upon his arrival at the KL International Airport last Friday that he owes the success to his team members who supported him along the way. Now that he's conquered a feat once deemed impossible for the disabled, he hoped that his accomplishment would encourage Malaysians to follow their dreams. Well done, Adam! You're an inspiration to us all.